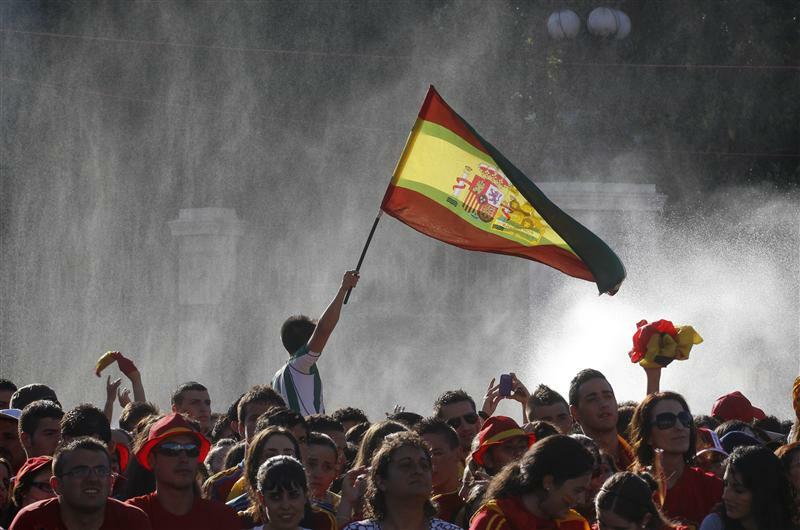 Spain will hike taxes and make cuts amounting to a total 65 billion euros over two and a half years. Some of the moves look sensible, but this drug may not cure the patient. Rajoy should have included a more ambitious rationalisation of local and regional governments. The Spanish government has announced a fresh round of austerity measures totalling 65 billion euros over the next two and a half years in order to meet tough targets agreed with EU authorities. Prime Minister Mariano Rajoy an increase of 3 percentage points in the VAT rate, to 21 percent; reduced unemployment benefits; new indirect taxes on energy; the privatisation ports, airports and rail assets; and a reversal of property tax breaks that his party had restored last December. Rajoy also announced reforms to city hall governments, the shutdown of public companies, reduced benefits for civil servants and budget cuts for political parties and labour unions. The EU agreed on July 10 to give Spain an extra year, until 2014, to bring the public deficit down to 3 percent of gross domestic product and relaxed this year’s goal to 6.3 percent.